The Moto X4 from 2017 brought back a beloved line of phones, even if it didn’t impress us and couldn’t match the personal feel of previous models. 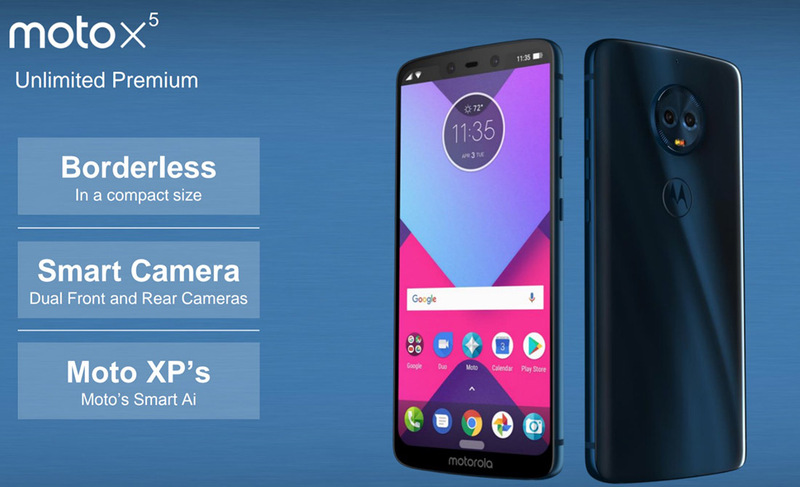 It wasn’t all bad, though, and did feature a fresh design for Motorola, along with water resistance and space in the Android One atmosphere for the first time. So even if the Moto X4 was a phone we’d pass on today, the Moto X5 could be a phone to keep an eye on. Like with the Moto G6 family, we may have a first look at the Moto X5 for you today. The photo you are seeing above was sent to us by a single source and we were unable to verify it with additional sources. With that said, should it be the real deal, we’re looking at quite an interesting package. For one, this new Moto X5 sports minimal bezel (“Borderless,” rounded corners) with a 5.9″ FHD+ (18:9) display, much like other recent releases from companies like OnePlus, Google, Samsung, and LG. Look closely, though – see anything different? That appears to be a top iPhone X-like notch at the top of the phone, with status bar icons split on either side of it. Embedded in the notch is a dual camera setup, along with a speaker. How will Android notifications work with that notch? That’s a good question, one we don’t have an answer to. Additionally, there isn’t a fingerprint reader at the bottom of the device, but we are seeing a new white software button, likely as a means of navigation in the way that Motorola’s former front-facing fingerprint reader provided (swipe navigation). My guess is that you’ll be able to choose from this single software button or the traditional on-screen 3-button setup of back, home, and app switcher. Speaking of fingerprint readers – is there one? Clearly, there isn’t one on the front, yet the Motorola logo on the back could act as one. Is it in-display? We don’t have a definitive answer on that setup. That image above claims that there are four cameras in total on the phone, the two up front and another two on the back. Something called “Moto XP” or “Moto’s Smart Ai” is included too.